Interroll showcased its proven space-saving, energy-efficient solutions for both the handling of pallets and cartons at the recent IntraLogisteX event in the Ricoh Arena, Coventry. Interroll Dynamic Storage solutions save up to 50% space and reduce travel distances by up to 80%. For different warehouse sizes and turnover rates, flow storage solutions are a very cost-effective option in the long term. Thanks to their efficiency and robustness, they also ensure long-term availability and greater flexibility for short-term order peaks. 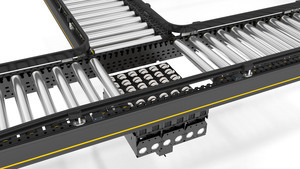 Interroll Pallet Roller Flow solution optimises on available space and offers maximum flexibility and efficiencies to store fast turnover stock, with accurate FIFO (First-In-First-Out) and LIFO (Last-In-Last-Out) flow of products. These decisive advantages offer many tangible benefits that result in a quick return on investments and are proven in many storage applications and distribution centres, including ambient, chilled and cold store environments down to -28°C. The Pallet Roller Flow storage features the safety separator with time plus functionality that significantly reduces the risk of damaging goods conveyed on gravity roller conveyor sections and is maintenance free, easy to install and highly efficient. On lifting the first pallet to remove from the order picking face, there is a 20 second delay before the separation device releases the next pallet in line. This gives the forklift truck driver all the necessary time to unload the pallet safely before the second pallet is released. As a result of the pedal-less system, there is no longer pallet lift up height restriction for the truck driver, which is especially crucial and useful, for the forklift truck driver, when working at high levels with restricted visibility. Safety is greatly enhanced. A further highlight was a Modular Conveyor Platform (MCP) display. The MCP is ideally suited to demonstrate the ease of use and flexibility of automatic order-picking systems. 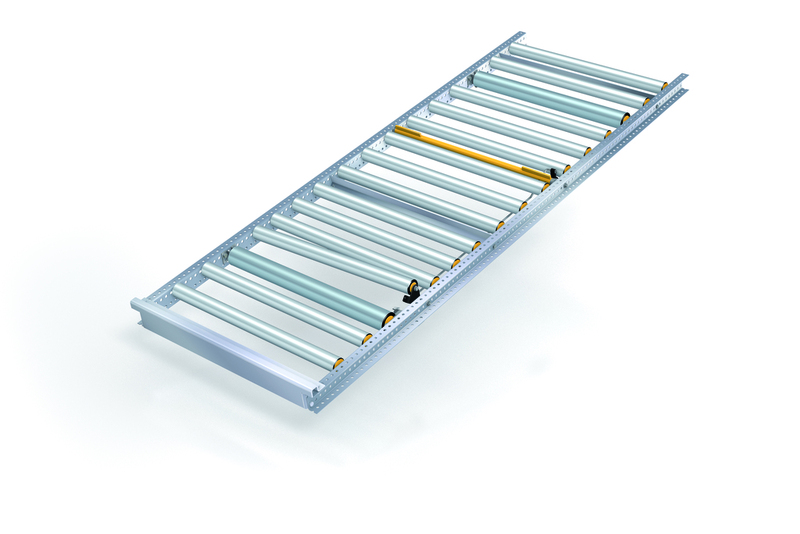 The highly versatile Interroll conveyor platform has proven to be the perfect choice as it can be adapted to the most diverse specific needs of clients and users alike. Furthermore, it is possible to use the platform as a basis for retrofitting systems for the flow of materials in a particularly quick and practical manner. The modules, most of which come pre-assembled, made the system easy to install. The MCP is controlled by Interroll MultiControl, the new network interface card for PROFINET, EtherNet/IP and EtherCAT. With help of the MultiControl, sensors and RollerDrive are directly integrated in to the field bus level.